Worried about gambling away your winnings? You can lock your cashouts/withdrawals at SlotsMillion Casino once you’ve requested it. SlotsMillion Casino formed in 2015 but has made quite a name for itself in a such a short space of time. Set up by experienced iGaming professionals, their aim was to create the best online casino with the best slots that can be played across all devices. With numerous industry awards, they want their customers to feel valued and make their experience easy and flawless. With superb customer support and the best encryption and testing platforms, transparency is key. As a result, they give you the opportunity to lock your withdrawal request so you are not tempted to gamble your winnings. Once you’ve requested a withdrawal or cashout, you can go to your Lobby where you’ll see the option to lock it – it’s that simple. 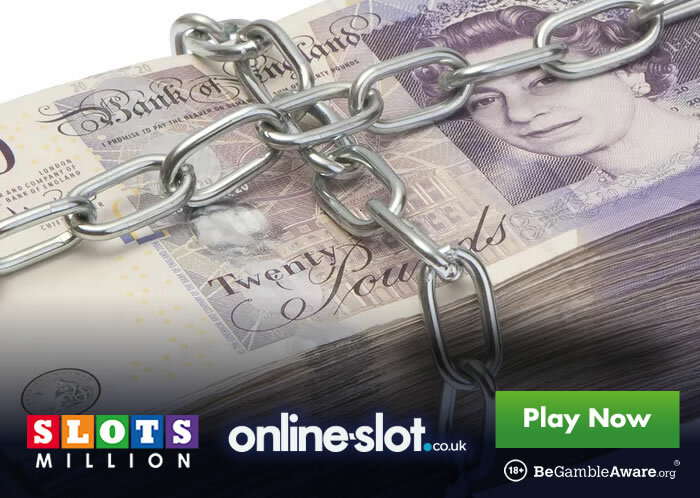 This allows you to sit back, relax and enjoy your experience at SlotsMillion Casino knowing that you can lock away your winnings. SlotsMillion Casino offers you over 1,600 slots to play – you have titles from Novomatic, NextGen Gaming, WMS, Yggdrasil Gaming, NetEnt, IGT, Play ‘N Go, Quickspin, Thunderkick, Microgaming, Big Time Gaming and many, many others. You have all the latest games including the brand-new Neptune’s Quest from WMS and Holy Diver MegaWays from Big Time Gaming. When it comes to cashing out, they process instant withdrawals meaning your winnings will be with you on the same day! On top of this, they charge no fees whatsoever. With round the clock customer support, new players are welcomed with a superb offer. For starters, you’ll get a 100% first deposit bonus up to £100 plus 20 extra spins on Gonzo’s Quest. On your second, third, fourth and fifth day, you will get 20 extra spins on each day on various NetEnt titles like Twin Spin, Jack and the Beanstalk, Spiñata Grande and Fruit Shop.